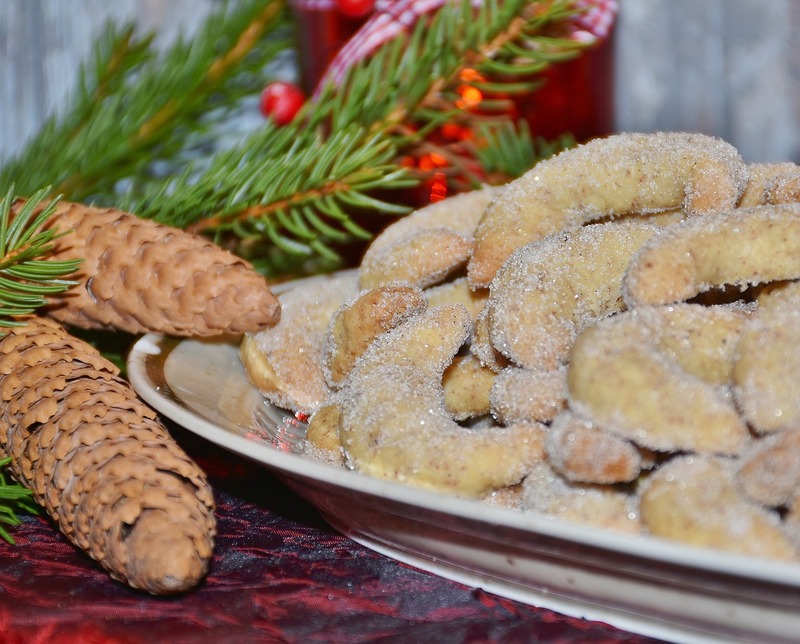 German Vanilla Cones are classic Christmas cookies. They are very easy to make and you don't need special ingredients. This is my favorite amongst all the German Christmas cookies, and the best were from my aunt. They were soft and sweet; the smell of vanilla was in the air... Happy Baking. - On a baking board mix all ingredients and knead them until you have a firm dough. - Wrap the dough in aluminum foil and keep it in the fridge for 30 min - 1 hour. - Take it out of the fridge and divide the dough in multiple rolls of 1 inch diameter. - Cut of little pieces of each roll and roll them by hand into a U-shaped form. - Place the Cones on a baking tray (laid out with parchment paper) and bake them for about 10-15 minutes. - Take them out and roll them in a mix of vanilla sugar and powdered sugar, you can add a bit of cinnamon to give it a nice flavor. Don't make them too big. Less dough, the better they will be. Hi! These look so yummy!! I am assuming 200 (g) of sweet butter? Also, about how many cones should I expect to get out of each 1 inch diameter roll of dough? yes butter used for cookies is always sweet – never salted, we dont use that butter in german recipes. would change the taste. 20-30 cones maybe. my recipe is similar, but I always take the skin off my almonds so I get a less speckled looking cookie and I also roll the fresh out of the oven and still very hot cookie in a mixture of white and vanilla sugar. my family’s favorite!